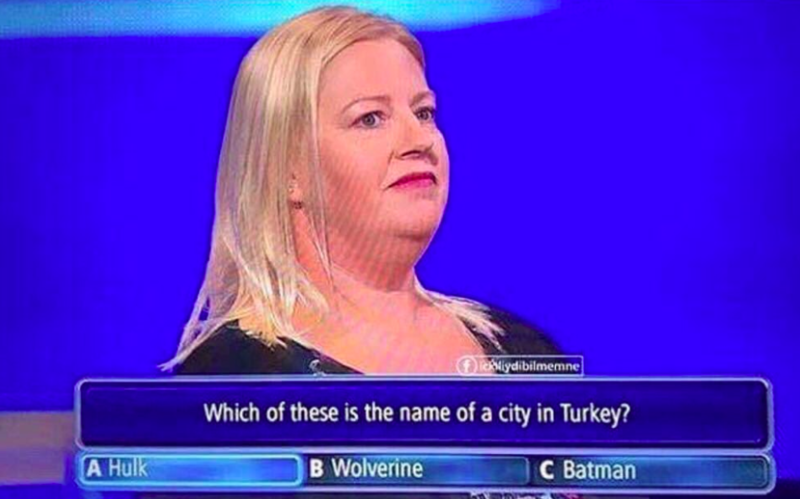 We will give you a million JD if you can guess how in the world this TV contestant wasn’t able to answer where the Great Wall of China is located during an episode of “Who Wants to Be a Millionaire” in its Turkish version. Perhaps thinking it was a trick question, only 51% of the studio audience gave the right answer. Thankfully, Ayhan’s friend took her to the next question. The economics graduate from Istanbul became the laughing stock of social media soon after the episode aired on private broadcaster ATV on August 4. "26 yr old Su Ayhan, from Istanbul, a beauty without brains, has managed to become (in)famous in two countries, Turkey and China, in less than 5 minutes! You don't need me to tell you 'why', do you?" A Beijing-based tweep questioned the education system in her country. But Ayhan was unphased by all the negative backlash. "I could use my lifelines whenever I wanted," she responded to critics. To be fair, this Australian TV contestant couldn’t correctly answer a question about Turkey either!